Did you know that the giving of an Engagement ring originated in ancient Israel? Jewish law dating back to the time of Abraham called for an agreement, the giving of an item of monetary value to the chosen bride, to validate the betrothal intent of a young man and woman. In time, the ring became the most common symbol of monetary value that was used for the completion of an engagement agreement. The engagement ring came to represent the circle of life and eternal love. The practice of the presentation of an engagement ring to a woman was adopted by the Greeks and later by the Romans who made the ritual of using an engagement ring into law. The custom grew in time and spread around the world as the symbol of love and intent to marry between a couple. 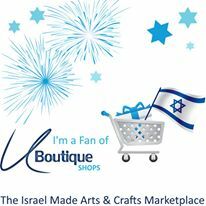 With thousands of years of experience, Israeli artisans have a proven record in designing and creating unique engagement rings for a man to offer his intended bride as a token of his love and intent for marriage. Hand made engagement rings are popular in Israel and their popularity is growing as a choice of couples around the world. With the ease of measuring a ring finger it is actually quite simple to choose a ring design from an Israeli jeweler and to have that ring shipped just about anywhere in the world. If diamonds are selected, guarantees are provided for their quality, since Israel is one of the largest suppliers of quality diamonds and precious stones to jewelry stores around the globe.